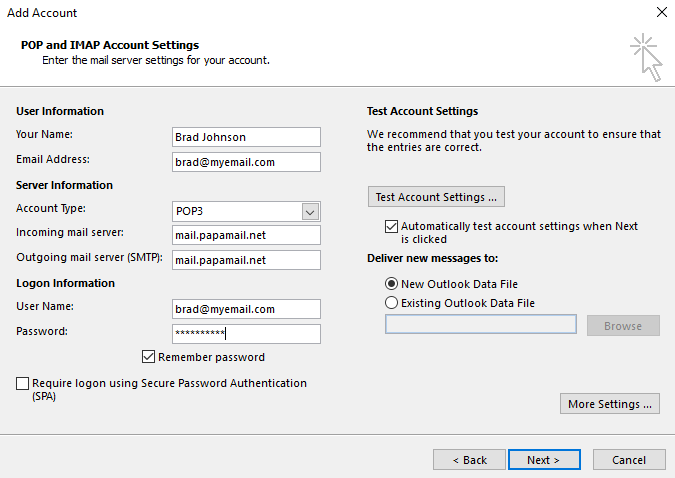 Once you’ve configured and activated your HostPapa email service, you can proceed to set up your email account in Outlook 2013. For easy webmail access, you can always use https://webmail.yourdomain.tld URL (replace yourdomain.tld with your actual domain) or https://mail.papamail.net/ if you utilize Basic/Advanced email service from any browser. 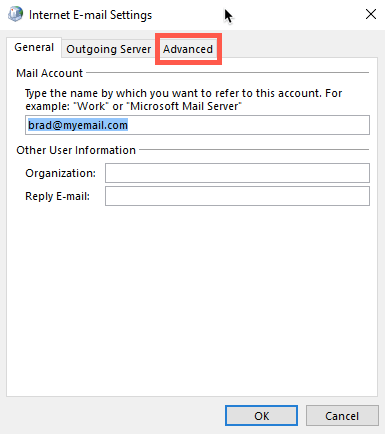 If you’ve previously configured Outlook 2013, click the File tab at the top of the window and in the Info category, click the Add Account button. 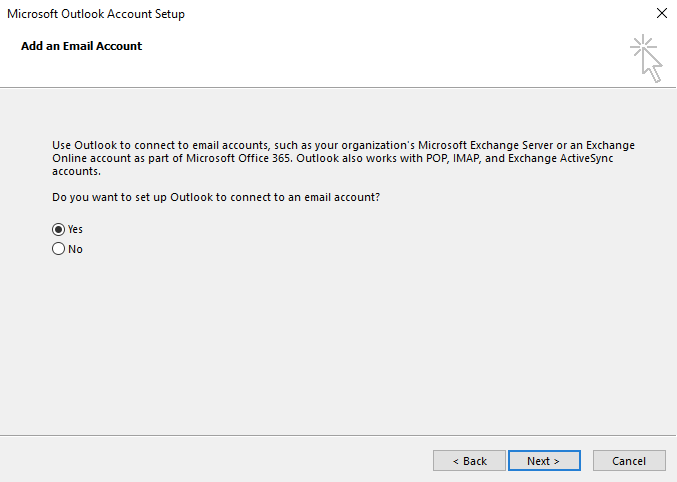 In the Add an Email Account wizard pop-up, you’ll be asked Do you want to set up Outlook to connect to an email account? Ensure the radio button next to Yes is selected, then click Next. Name: Enter the name you’d like to appear on your emails. Retype Password: Enter your email account password again. Click Next. 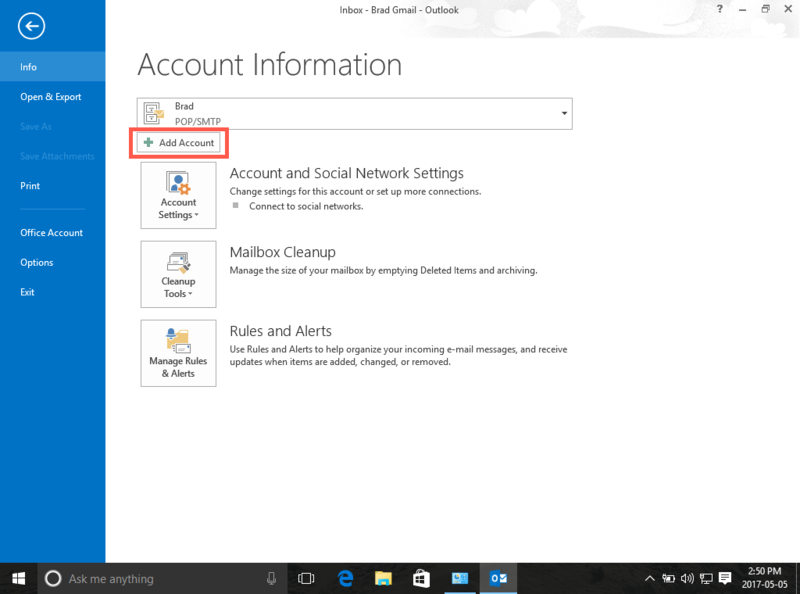 Outlook will now attempt to retrieve your email server details and set up account access. If your server cannot be found, verify that the email address you entered is correct and try again. 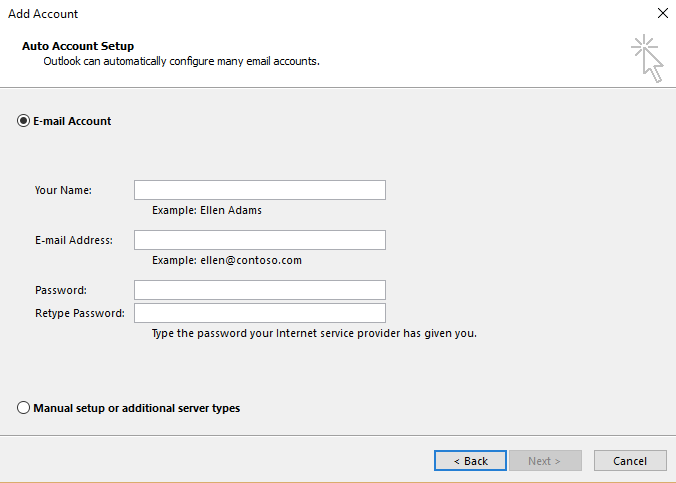 You can enter your server details manually by selecting Manual setup or additional server types. Then, click Next. 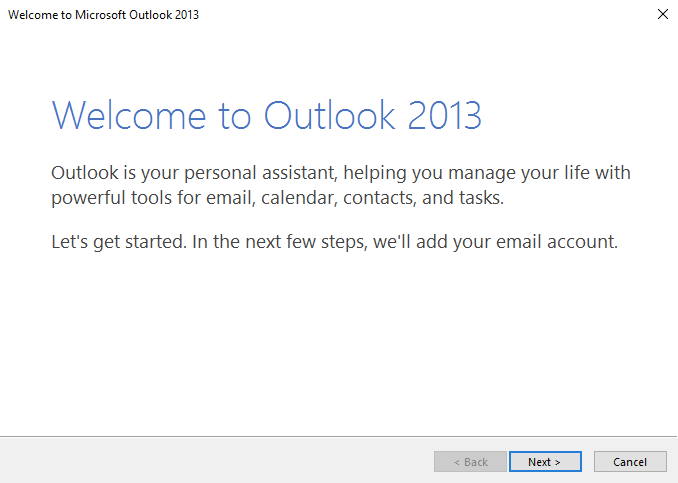 Outlook 2013 supports standard POP3/IMAP email accounts, Microsoft Exchange or Office 365 accounts, as well as webmail accounts from a range of providers including Outlook.com, Hotmail, iCloud, Gmail, Yahoo and more. 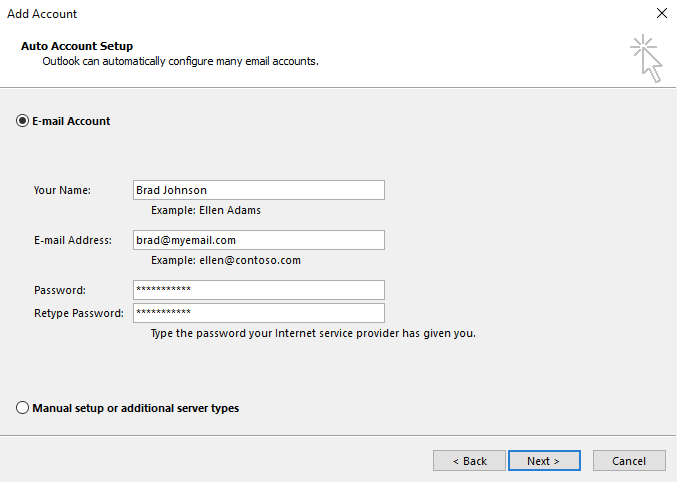 Click the radio button next to POP or IMAP, then click Next to proceed with your email account configuration. You’ll need your email server details, user name and password to hand. Your Name: Enter the name you’d like to appear on your emails. 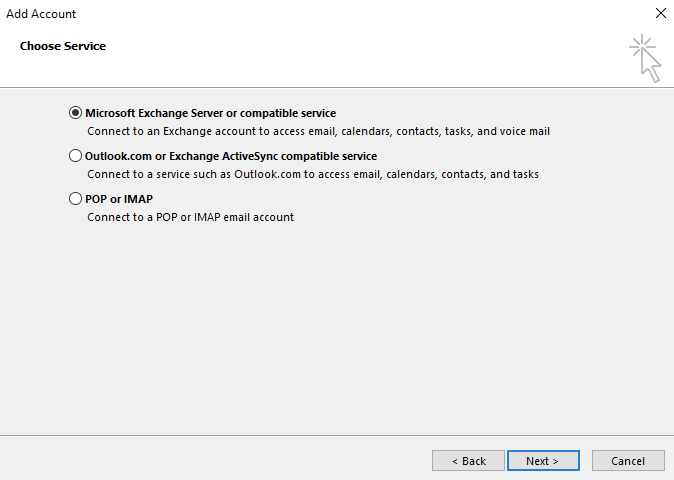 Account Type: Use the dropdown menu to select POP3 or IMAP. Incoming mail server: For POP or IMAP accounts use mail.yourdomain.tld if you’re on shared plan (replace yourdomain.tld with your actual domain) or mail.papamail.net if you use Basic/Advanced Email services. Outgoing mail server (SMTP): For POP or IMAP accounts use mail.yourdomain.tld if you’re on shared plan (replace yourdomain.tld with your actual domain) or mail.papamail.net if you use Basic/Advanced Email services. User Name: Your email account user name. Now click the More Settings… button. 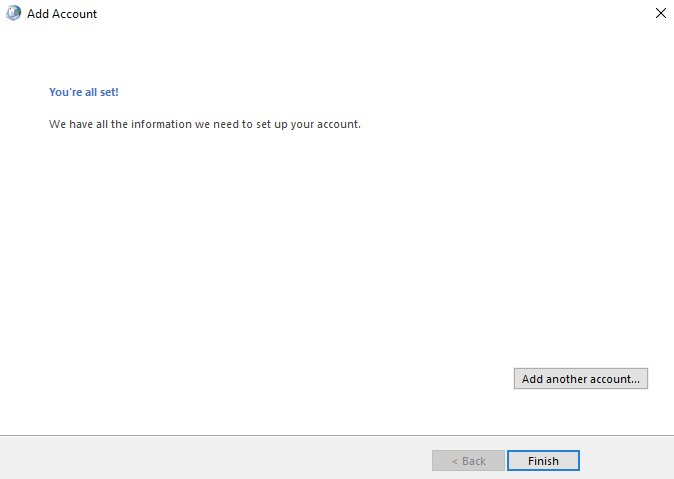 In the Internet E-mail Settings window that opens, select the Advanced tab. 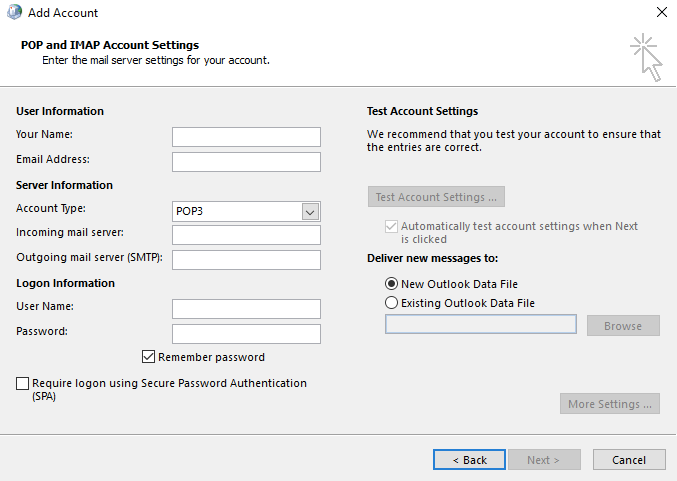 Incoming server: Ensure the default port is set to 995 for POP accounts, or 993 for IMAP accounts. Check the box next to This server requires an encrypted connection (SSL). 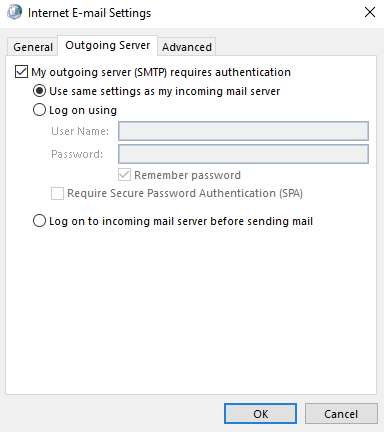 Outgoing server (SMTP): Change the default port (25) to 465 for POP or IMAP accounts. 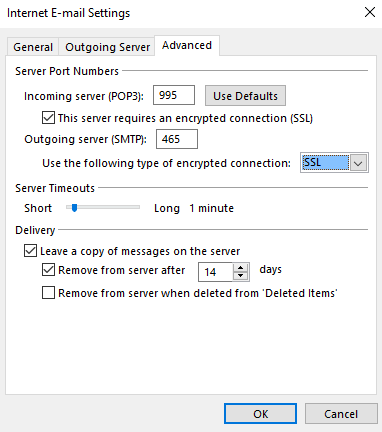 Select SSL from the dropdown menu next to Use the following type of encrypted connection. Click OK to close the Internet E-mail Settings window. 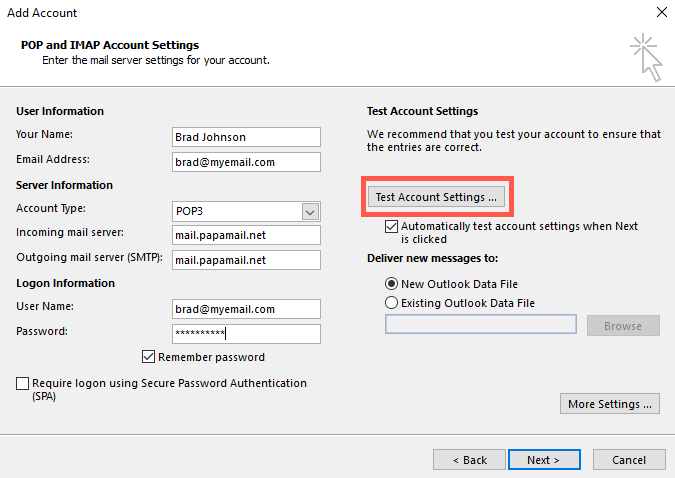 In the POP and IMAP Account Settings window, click the Test Account Settings… button to ensure Outlook can communicate with your email server. If the test fails, retrace your steps, ensuring your server and account details have been entered correctly. Once the test completes successfully, click Next and then Finish to wrap up. If you notice any problems or if you need any help, please open a new support ticket from your Dashboard.